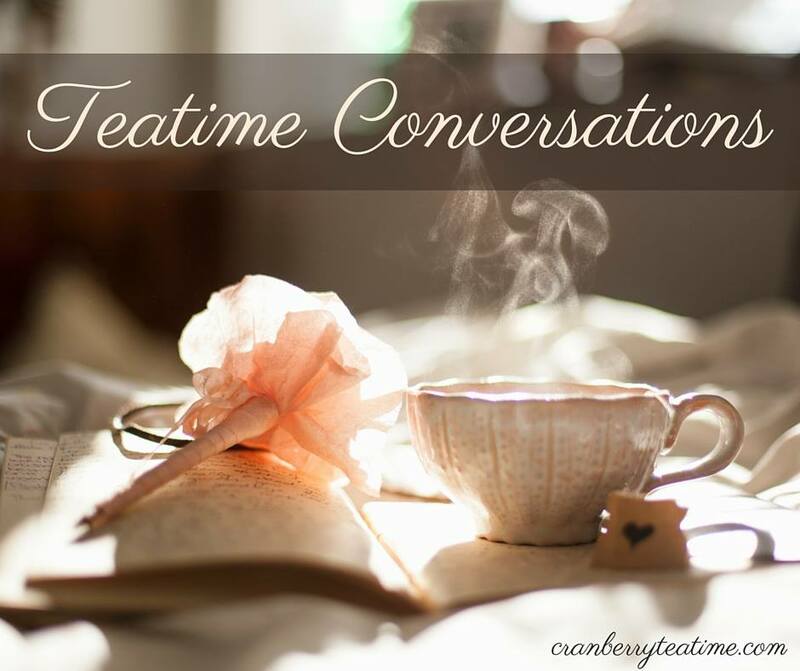 Cranberry Tea Time: Rhinestone Jesus Book, Author Q & A, and Giveaway! Rhinestone Jesus Book, Author Q & A, and Giveaway! For several years now I have been following the story of Mercy House, and I have been thrilled to partner with them in small ways by hosting a virtual party, a home party, and helping with the (in)mercy campaign. The work that Mercy House is doing in Kenya is amazing and unique. There was no other organization in Kenya to help pregnant teenage moms until God opened Kristen Welch’s eyes to this very big need, and she chose to say yes to God’s leading to start a maternity home there. In her new book, Rhinestone Jesus, Kristen tells her story and shares about the journey God has brought her on. She shares about high school, the early years of marriage, and the challenging days of motherhood. She shares about the hard things God brought them through as a couple and as a family. She tells the story of travelling to Kenya with Compassion International and her heart being broken there. The time in Kenya shook her awake from her American dream, and soon a dream for a maternity home in Kenya began to grow. I loved reading Kristen’s heart in these pages. She is real and honest in Rhinestone Jesus. She will be the first to admit that their family isn’t perfect, but they are striving to glorify the Lord in all they do. In the process of telling her story, Kristen shares practical tips and ideas for nurturing our own families, growing closer to one another, and keeping our family focused on glorifying God. 1. What is your hope for your book, Rhinestone Jesus? My hope is that every person who picks it up will be inspired to say yes to God right where they are. 2. That’s an interesting title. Can you provide for us some context and meaning? Rhinestone Jesus is a very personal title. As a teenager, I wore a rhinestone pin on my clothes that spelled J-e-s-u-s. I was introverted, so this was a way for me to “wear” my faith without having to say much about it. I was involved in Theatre Arts and each year they gave up made-up awards. I won The Rhinestone Jesus award from my peers. 3. What message do you hope will resonate with your readers? That God can do anything through anyone. He asks us to do the impossible-not because we are capable, but because we need Him to accomplish it. Saying yes to God requires ultimate dependence in our inadequacy. And He does it so that He will be glorified. 4. What do you feel “just a mom” can do with bold faith and a God-inspired dream? I think the beauty of my yes to God to start a maternity home in Kenya is that I am just a mom. It’s obvious to everyone who has witnessed this story, that I’m not the real author—God is. It’s proof that He can use anyone to do anything. When I initially said yes in the small daily stuff, I didn’t know it would lead to Mercy House. But I was called to obedience and that’s really what Rhinestone Jesus is about: saying yes to God right where you are and not waiting to have all the answers or a perfect life before you obey. 5. How did you feel God’s leading to step out in faith? It was saying yes to a lot of small things that led my family to a greater yes. We were terrified and still are most days, but God is faithful and teaches us through the challenges and victories. Our yes to God isn’t really about success or failure. It’s about being obedient. 6. What prompted you to follow through with this particular dream or calling—founding Mercy House, the non-profit maternity home in Kenya, Africa to rescue young pregnant women from extreme poverty? Starting Mercy House was a response to what I saw in Kenya. I saw a need and couldn’t find anyone meeting it. I prayed that God would send someone. And He sent me (dangerous prayer, by the way!) I have always felt that God wanted me to encourage and connect mothers through writing. Mercy House in many ways has become an extension of that dream that started as seed many years ago. 7. How has this dream taken shape? Can you provide an update? Mercy House runs two residential homes with pregnant and teen moms in Kenya. We have babies of all ages. It’s a lot like a (loud) home, where the girls live and learn, heal and grow. They stay with us until they are able to return home or until they can live on their own. We also reach out to single mothers in the slums surrounding the homes, with plans to expand this outreach in years to come. 8. How did you lead and mobilize a community to care deeply, and help build this dream? When I returned from that first trip from Kenya, I was wrecked. I processed the emotions on my blog for months. Looking back, I can see that I was in labor, working hard to birth something. I believe other moms were too, and when I asked for help, they said yes with me. 9. Why is it important to you to affirm moms who wonder whether their work really matters? Because many wonder if it does. I think it’s part of our make-up--we long to make a difference and we wonder if what we do does, in fact, matter. I am compelled to tell mothers YES. It matters so much more than you think. It doesn’t matter how small or big, saying yes to marriage, motherhood, and ministry--you name it, it matters. 10. What have you learned about listening to, and obeying God’s call? Sometimes people call me brave. If they only knew… Not only am I not courageous, I live with the same fear and inadequacies as other God-sized dreamers. Without a doubt, I think the Church (with a capital C) lacks obedience. I did for so much of my Christian life. I think if we have faith to believe in Jesus, we also have to believe that when we do what He tells us, He won’t leave us alone. It’s been the hardest journey of my life, stretched me further than I thought possible, but I’ve never been alone, not for a second. 11. How have you, and those closest to you, been impacted by trusting God and saying yes to a deeper, richer, more authentic faith? Simply put, it has changed every area of my life, in so many ways. I can honestly say I’m not the same person. When we step out and obey, God changes the world—our world. He changes us. My family said yes with me and God has used that to alter the legacy we will leave in the future. Thank you for sharing, Kristen! It is a blessing to see what the Lord is doing through you and your family. 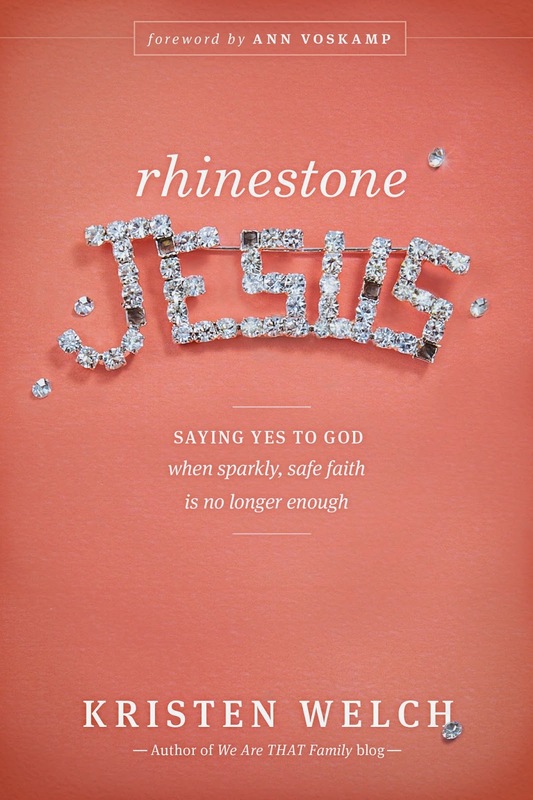 Tyndale House Publishers provided me with a complimentary copy of Rhinestone Jesus. They also sent me two copies to give away to my readers! * Would you like to receive a free copy of Rhinestone Jesus? Simply leave a comment to enter the giveaway! Winners will be announced on Monday, May 5. I would love to win a copy of this book. I have long admired the Mercy House and what it stands for and the work involved. I have also been wanting to read this book. Kristen - Thanks for sharing your story, and Rachel, Thanks for hosting, and the giveaway! I always enjoy getting your blog emails! God bless you. I'd love to win a copy of this book! It sounds amazing!! I would love to win this book! Thanks for the post and for the giveaway! And thanks to Kristen for saying yes in the middle of her mess and being open to sharing the mess with complete strangers. It gives many others the courage to sharing their mess and the strength to still say "Yes!" I wasn't familiar with Mercy House and would love to learn more. Thank you for this giveaway. I read the vision & plan of Mercy House. Their aim to disciple the hearts of each of the women as they rescue their physical lives is the most important gift they can give. I do pray they can have long term results in future generations of the women's children. Thankful that Kristen has been open to God's call on her life. I love Kristen's story! Mercy house is doing amazing work! Thanks for hosting this! Wow I have read more and more about this book and it sounds so good! Can't wait to read it!